Your little guy will be the talk of the event when he arrives sporting this beautiful dusty blue floral bow tie & camel leather buckle suspenders! Perfect for a ring bearer or page boy outfit, groomsmen, parties, cake smash or family photo shoot! 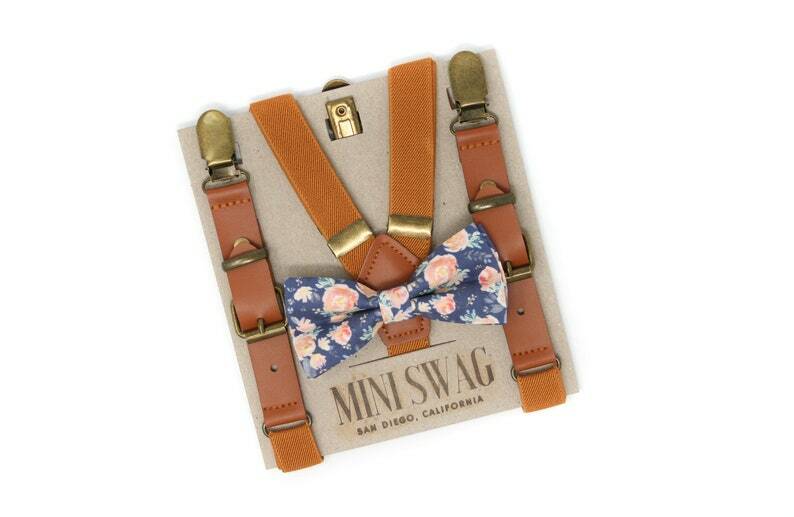 These kids vintage look suspenders are made from PU faux leather, camel elastic and antiqued hardware. The elastic is extremely stretchable for a comfortable fit and the antiqued clasps easily attach to most clothing.